In 5000 year old Vedic records from India, Moringa Oleifera and its salutary effect is first documented. The plant has received a high priority and has been included in traditional Indian medicine, Ayurveda. The various components of the Indian Sahjan, Murunga or tree called Moonga to cause disease in 300 relief and healing. Moringa is still used today in the holistic illness and Dietetics and is increasingly recognized by the modern, Western medicine. Egyptian hieroglyphs from the 6th Dynasty (about 2475 v. Chr.) Occupy importing Baq, or Baqet (Egyptian for Behenöl) from northern Asia. The ancient Egyptians used the high-quality oil as an additive in cooking, as a perfume (Kyphi), as ointment cone at Balsamierungen and in medicine. Even in ancient Greece and the Roman Empire were known from the pressed Moringa seed oil and its versatility. It was used in cosmetics; as a basis for ointments and creams as well as for the production of cold extracts (maceration) and in the perfume extraction (enfleurage) for essential oils and pomades. However, the fastest spread of Moringa was found during the colonial period, taken by British colonial rulers many herbal and plant species of India and resettled. 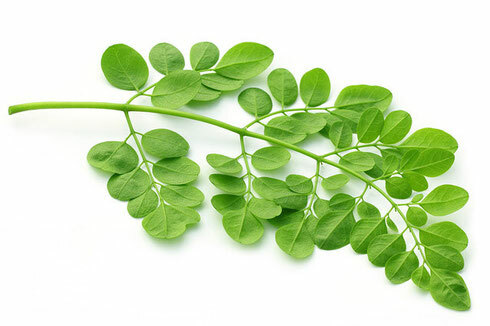 They called the Moringa tree because of the pungent burning smell of its roots, caused by the mustard oil Glykosidengehalt, Horseradish tree and used it as a substitute for Horseradish. The highly coveted Moringa oil has been used up into the 19th century as a fine mechanical lubricating oil in the watch industry, especially in Switzerland and Germany. As food Behenöl was ousted in 1920 by the much cheaper olive and palm oils from the European market. It is the most stable known vegetable oil in the world. In the course of its propagation the genus Moringaceae has adapted to new habitats and circumstances and developed into 13 types, which can not be excluded that already all kinds are discovered. Interestingly, people learned in different parts of the world, largely independently, the characteristics of the miracle tree itself and appreciate them.